Translation services cost, Where to find the best services? / Proofreading / Where to find the best translation services cost? Where to find the best translation services cost? 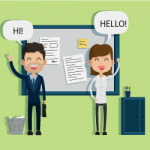 Read these easy tips to help you get the best translation services cost! Translation services cost, where to find the best services? If you have used machine translation, you’ve probably seen that it can be a useful tool for translating the odd word or phrase. For lengthy documents, it can also help to give you the essence of a different language document. However, that’s as far as it goes. Machine translation is a long way from being reliable and accurate enough to use to translate a professional document. Whether you need a marketing translation, a legal translation, an environmental translation or anything else, the use of skilled human translators is a must. Several companies try to use machine translation to keep their costs down. Sadly, machine translation is not something that can be taken, no matter how fascinating the saving. Presenting documents to your professional contacts in awkward, grammatically incorrect language is not acceptable in the business world. That’s why translation companies like ISO Translations see such a notable rise in demand for post-editing machine translation services, as businesses call in the professionals to mop up the mess left by the machines! If you want to get the best translation service cost, talk to your translation agency! Don’t just send them your text, but share details of its proposed purpose, who’s going to read it and why, what is your motive, why you’ve picked the target language(s) you have and so on. By sharing all of this information, you’re giving the translator much more to work with. 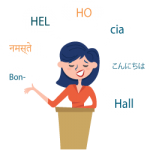 They can then translate your text with its intended use and audience in mind, which can help to ensure that the translation is ideally suited to them. 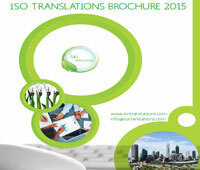 Be sure to find a translation agency that provides localization services as well as translation services. Translation transforms one language to another, while localization goes a step further. It recognizes any parts of the document that are unsuited to the target audience. This can be anything from popular culture sources that wouldn’t be understood to images that would be deemed offensive for religious reasons. It’s always worth asking for a discount! You might not get one, but if you don’t ask, you don’t get, as the saying goes. You’re more likely to get a discount for a substantial amount of work, so if you have future translation needs coming up, speak to the agency about all of them at once and get the best translation services cost! 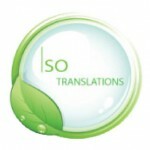 How can you get a translation free quote? What is the translation service cost per word? Where to get legal document translation services near me?